The Baltic Dry Index, a measure of shipping costs for commodities, had its biggest drop on record as a credit freeze weakened demand for commodities. The index tracking transport costs on international trade routes retreated 282 points, or 11 percent, to 2,221 points, according to the Baltic Exchange in London. It has dropped 55 percent over the past three weeks. 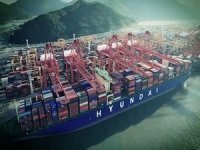 ''There has been an acute and significant decrease in near- term demand for shipping capacity,'' Jon Windham, a Macquarie Bank Ltd. analyst in Hong Kong, said in a report dated yesterday. The cost of borrowing in dollars in London for three months rose after cash injections and rate cuts by 10 central banks including the U.S. Federal Reserve failed to thaw credit markets. The turmoil was sparked by a U.S. housing slump last year that uncovered bad debt and led to the collapse or bailout of banks including Lehman Brothers Holdings Inc. 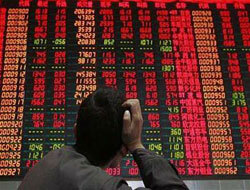 The Reuters-Jefferies CRB Index of 19 commodities is down 17 percent this year. Chinese steel production will be ''key'' to freight rates in 2009, Windham said. Mills in the country have asked for delays to iron ore deliveries, Australian producer Mt. Gibson Iron Ltd. said yesterday, while weekly benchmark import prices fell the most since at least 2006 last month. Steelmakers' stockpiles rose to records this year. Builders in the country are curbing construction of steel- intensive luxury housing as demand falls following increases in down-payment requirements and some mortgage rates. A pricing standoff between Chinese steelmakers and Cia. Vale do Rio Doce, the world's biggest iron ore producer, is pushing freight rates down, Macquarie said. Vale wants to charge as much as 13 percent more. Macquarie estimates iron ore will account for 859 million tons of the total 3.1 billion tons of dry bulk commodities shipped this year. ''We do not see any significant recovery in freight rates until this negotiation is finished and volumes resume at a normal or possibly to an elevated pace,'' Windham said. Rates for capesize vessels that haul coal and iron ore fell 17 percent to $25,316 a day. Investors bet they will average $27,000 for the fourth quarter, forward freight agreement data from Oslo-based broker Imarex NOS ASA showed. Rents of smaller panamax vessels declined 11 percent to $14,585 a day, while FFAs showed investors expect an average of $17,000 in the quarter. The fourth-quarter capesize FFAs have dropped 85 percent from a high on June 4, while the contracts for panamaxes have shed 79 percent from their 2008 high on May 16. 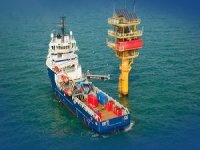 Ampelmann Completes Half a Million Safe Transfers for BPDutch offshore access solutions provider Ampelmann has reached a new milestone: 500,000 safe personnel transfers for BP globally. 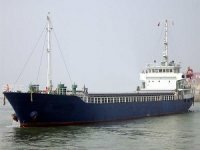 Klaveness Seals COA Extension with South32 MarketingKlaveness Combination Carriers AS has secured an extension of a contract of affreightement with South32 Marketing Pte Ltd.
Hyundai Merchant Marine Posts Q3 LossKorean carrier will “put its utmost efforts to stably secure additional cargoes” to fill the 20 ships on order. 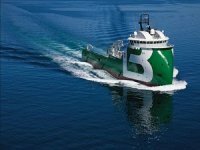 Three OSV Operator Warn of Persistant Weak Day RatesOSV operators Tidewater, Maersk Group and Bourbon Offshore all warn that the OSV market will continue to suffer from low day rates for the near term. 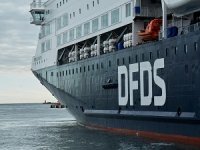 DFDS' Earnings Increased Further in Q3Danish shipping and logistics company DFDS recorded an increase in its earnings during the third quarter of this year. 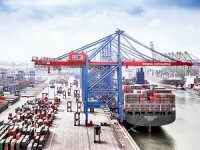 HHLA Exceeds Previous Year's ResultHamburger Hafen und Logistik AG (HHLA) has announced that its profits after tax increased by 6.1% in the first nine months of 2018 compared to the same period in 2017.